We have a brand new video for you slasher fans today as part of our Slasher Studios Presents line! It’s our brand new Youtube horror show in which deliver a top 5 in horror every week! 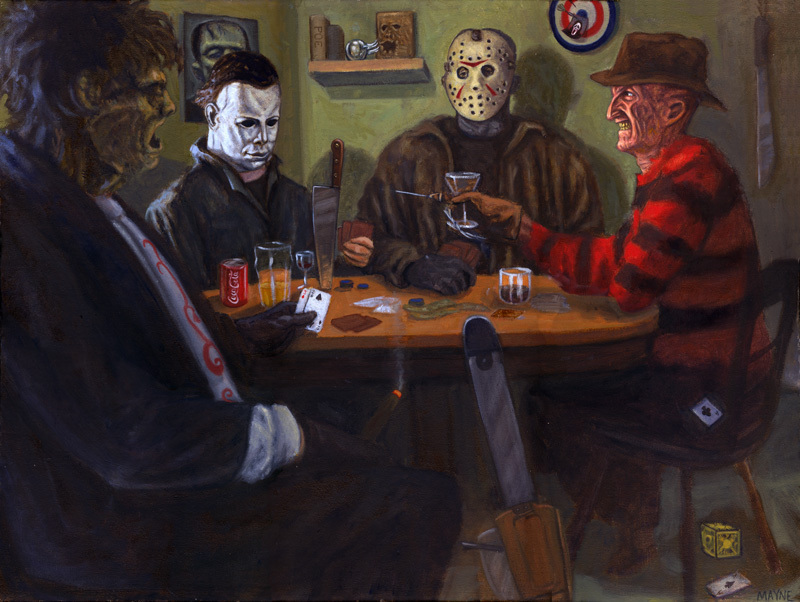 Whether it be the scariest villains, the best slashers, the worst slashers, the best Final Girls, etc. You name it, we will do a show for it. This week we discuss out Top 5 Scream Queens. Which actress make your list as worthy final girls who scream with style? It’s been a couple of weeks but we are back with a brand new episode of Slasher Studios Presents. Slasher Studios Presents is our brand new Youtube horror show in which deliver a top 5 in horror every week! Whether it be the scariest villains, the best slashers, the worst slashers, the best Final Girls, etc. You name it, we will do a show for it. On this week’s episode we are counting down our top 5 favorite slasher films. Enjoy! We have a special treat for you slasher fans this weekend. We are premiering our very first episode of SLASHER STUDIOS PRESENTS. On this Youtube exclusive show we will be doing a special Top 5 countdown each any every week in the world of horror movies. On our premiere episode we discussed our Top 5 horror movie villains. So sit back, relax, and hopefully enjoy the show! We will be back next week counting down our favorite bad horror movies.